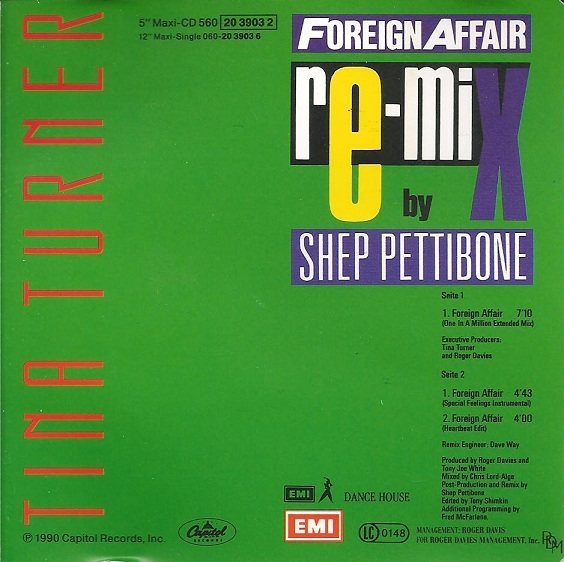 Three remixes by Shep Pettibone of Tina Turner’s Foreign Affair were released on this German CD-single from 1990. 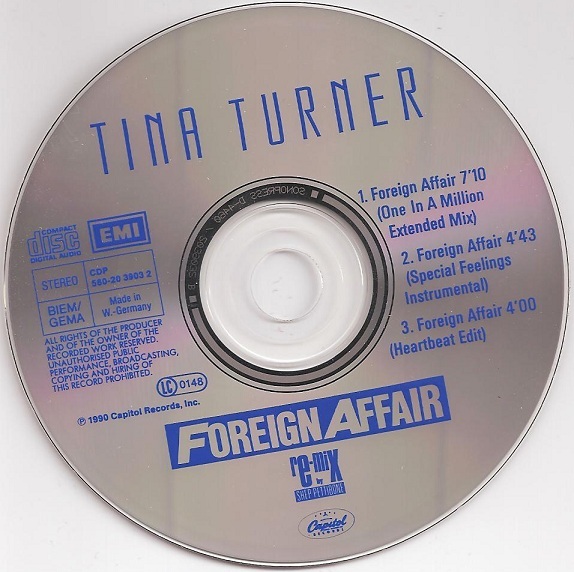 The song Foreign Affair is from the same-titled album from 1989. You can listen to these, very eighties sounding, remixes below! HE ADMIRADO Y RESPETADO A TINA, DESDE QUE LA VI POR PRIMERA VEZ EN MI TV!!! ESTO, HACE MUCHO TIEMPO!!! NO HA CESADO ESTE SENTIMIENTO!!! MI ÚNICO ANHELO… ES VERLA EN EL ESCENARIO!! !SERIA UN SUEÑO HECHO REALIDAD!!! GRACIAS POR PERMITIR DECIRLO!!! 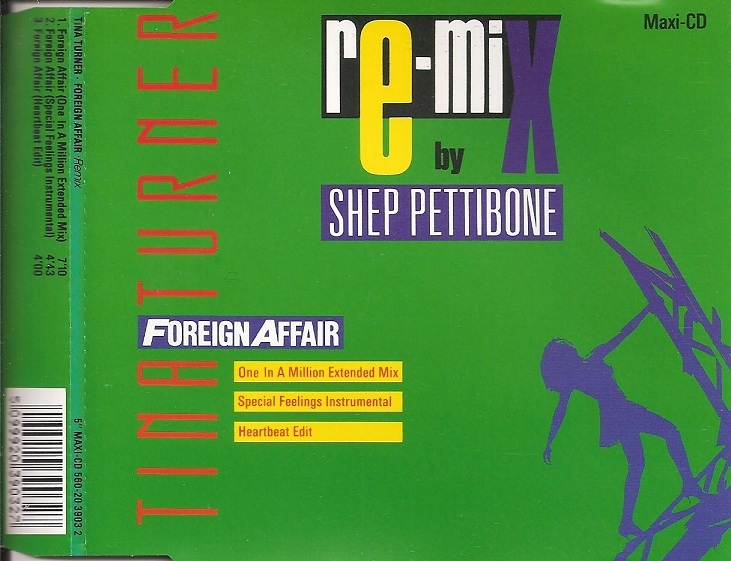 Any chance to get all “Foreign Affair” remixes as mp3 for my ipod collection? Hi Katie , glad you like it !! Yes , it’s a great rock song! Thanks for your comment !